Yeong Yang launched its own PC chassis business in Taiwan since 1990 to manufacture and distribute full-range PC chassis to worldwide. With excellent mechanical engineering and front panel design, plus high quality production and supreme after sale services, Yeong Yang has won customers' satisfaction. 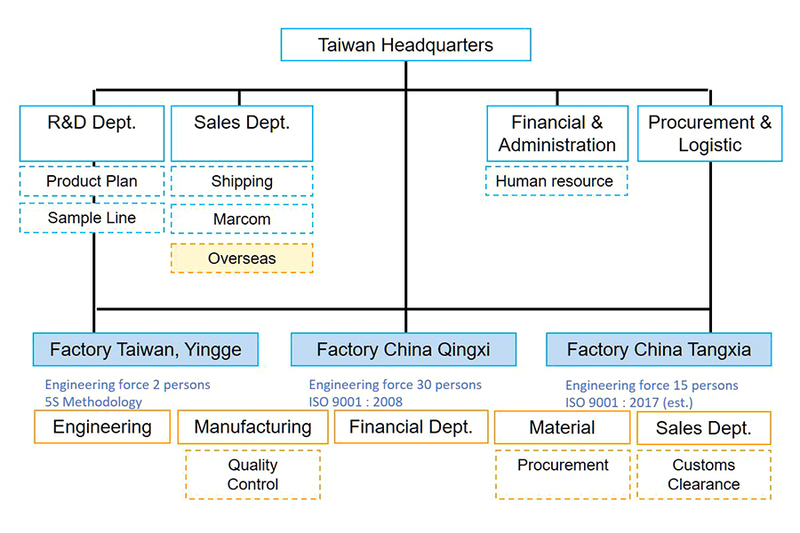 The company is recognized as a professional computer chassis manufacturer with highly talented R&D, state-of-the-art facilities, quality driven by manufacturing, customer-oriented marketing strategy, reliable products and collaborated partners such as Intel, Gigabyte. Yeong Yang launched new product line -Tablet Accessories in 2011 focusing on developing Tablet Enclosure, Mount and Stand for commercial use. In 2014 Yeong Yang joint venture a new plant specialized in the field of CNC, NCT manufacturing for developing all new generation Server Storage chassis and providing OEM/ODM/COTS (Commercial off-the-shelf) services. Since the 1990s, Yeong Yang has proved to be one of the professional PC case designer and manufacturer in the world. With our profound knowledge of tooling and unique aesthetics, we led the PC case industry and created many popular case models which are still selling today. Superior product quality, attractive pricing and good credibility soon became the reasons our customers chose us. Though there were many crises in the past years, we persistently maintained the long-term relationships with our customers and helped them survive the hardship. In the meanwhile, the company gradually changed the role from manufacturer to service provider. The factory part was divided into individual companies and became our best partners. Such solid collaborationship ensured the quality of our service and product. We kept strengthening our design and development abilities. To explore the limit, our product lines were expanded from only PC case to Server and Tablet series, offering wider selections for our customers. Our service also evolved from single component to package solution. As we always believe: a case is not merely a simple case, a case should be a complete business case.